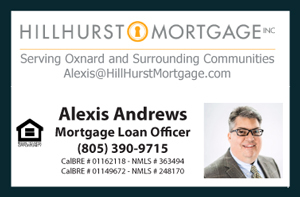 As an agent in the community of Oxnard, I am very pleased and honored to be part of the upcoming career night in Oxnard, January 10, 2019 at 5:45 PM next to our offices located at 418 W Third Street, Oxnard, CA. This is a free event that requires registration. Snacks and drinks will be provided. This is a very special career night where we have the opportunity to discuss more in detail what it takes to develop a successful real estate career as well as provide an opportunity for the public to ask any questions. My goal is to help others make well informed decision before jumping into the challenges of this career. I feel this is very important career night because there are certain things that are not discussed readily in the public especially the tough challenges and sacrifices that REALTORS must face in order to create a successful career. I know that there are those that are thinking about a career in real estate but are not sure how to start. Simple yet important topics such as how to proceed with the licensing? What are the time frames to complete licensing? How does a REALTOR get paid? What are the challenges and opportunities? These are some of the topics to be discussed and any others that may come from questions. This career night is also great for those few that are not happy with their current production. It is open to anyone regardless of the company you work for. This is about sharing and collaborating with ideas to help our local agents succeed regardless of their affiliation. My broker, our agents and myself are very happy about this event. I personally can't wait to meet with the new aspiring agents in our local community of Oxnard and the surrounding areas and shed some light on the subject of Real Estate Career Development.